Insert arrangement numbers are made by combining shell size (first two numbers) and the insert arrangement number (last two numbers). 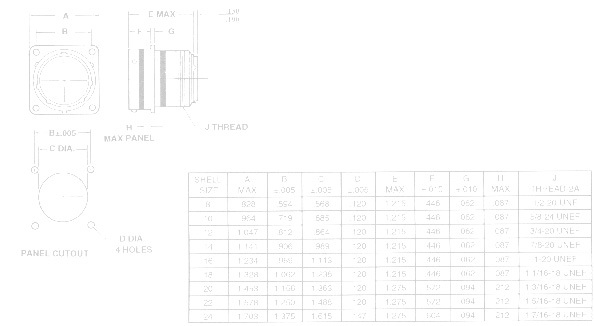 For example, a MS3476W14-12P would be shell size 14 with a insert of 12 for a 1412 insert arrangement. Insert arrangements are shown in numerical order by shell size and number of contacts in each shell size.